Veterans from the Afghanistan war are bringing authenticity to UBC’s Opera program. Silent Night, based on the screenplay by Christian Carion, is an opera being put this month at UBC. Not only are there top class students performing, but the Head of Voice and Opera at the UBC School of Music, Nancy Hermiston, is working alongside Dr. Marvin Westwood, the head of the Veteran’s Transition Network, to have veterans perform in their production as well. The idea first came to Hermiston when she saw the film titled War in the Mind, which the veterans of the Transition Network were a part of. “This film, War in the Mind, was so haunting and so moving, and so I got interested in the program,” Hermiston explained. She described music as being a kind of solace to the soldiers in World War I and that the common story of the "Christmas Truce" is not a work of fiction. It started off when a German soldier began singing a Christmas carol from their trench, and eventually the Scottish troops joined in with the bagpipes. Before everyone knew it, all of the troops on the battlefield were singing. Part of the learning experience for the students involved was figuring out how to portray the idea of being in a war, replicating the constant engaged state of mind a soldier needs to be in. Hermiston was honest when she said that “there [are] only pros” to working with the veterans. 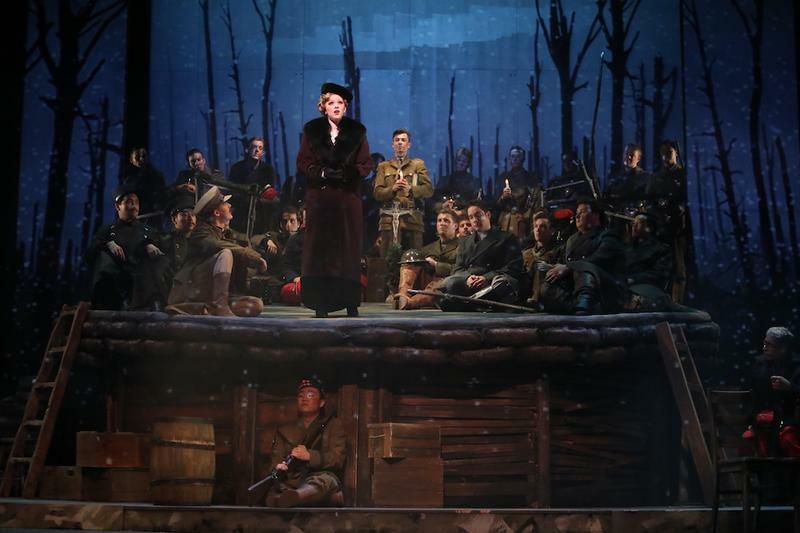 Silent Night is a unique opera, and the partnership between the UBC School of Music and the Veteran's Transition Network will make the production a once in a lifetime experience. Silent Night will be performed on November 8 and 9 at 7:30 p.m in the Old Auditorium on campus. There will also be a symposium featuring veteran guest speakers happening between the dates of the shows on November 5, 6, 7 and 8. Visit the UBC Opera website for symposium and ticket details.